Do some cultural sightseeing at S Rim Trail and Cooke City Montana Museum. You'll explore the less-touristy side of things at Beartooth Hwy and Fountain Paint Pot. Spend the 16th (Mon) exploring nature at Old Faithful Visitor Education Center. 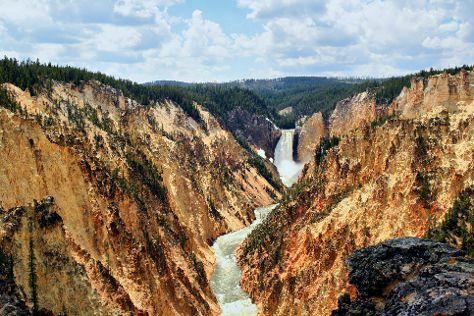 Spend the 19th (Thu) exploring nature at Yellowstone National Park. There's lots more to do: explore the stunning scenery at Grand Canyon of the Yellowstone, cruise along Firehole Canyon Drive, contemplate the waterfront views at Yellowstone Lake, and look for all kinds of wild species at Grand Loop Road. To find where to stay, maps, other places to visit, and other tourist information, use the Yellowstone National Park driving holiday planning app . Expect a daytime high around 60°F in September, and nighttime lows around 33°F. Finish your sightseeing early on the 21st (Sat) so you can travel back home.